When it comes to kennel training your dog, some people are for it and others are against it. Those who are against it feel like putting your dog in a kennel or a crate is cruel, but the truth is, these things give your dog a sense of safety and security. Instinctively, dogs are drawn to a den-like space, so it should why not create a DIY dog kennel for them? 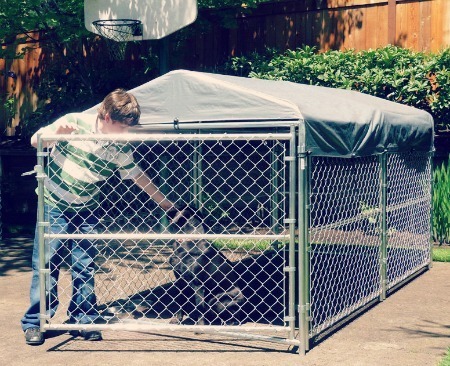 Before you tackle any kind of dog kennel DIY, you first need to get some plans. There are numerous DIY dog kennel plans available on the internet. If you’re hoping to find a tried and true sizing formula for your kennel, there isn’t one. 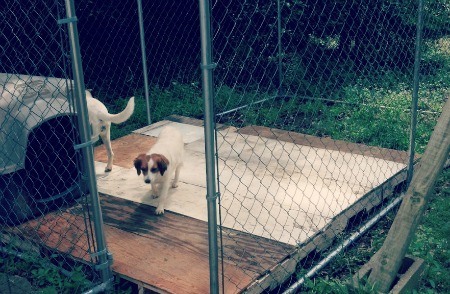 Most people create a kennel that is 4 feet wide by 12 feet long. However, depending on how often your dog will be there, you will want to adjust it accordingly, but stick with the thought that bigger is better. Now once you have a general idea of the size you want, it is time to gather your materials. 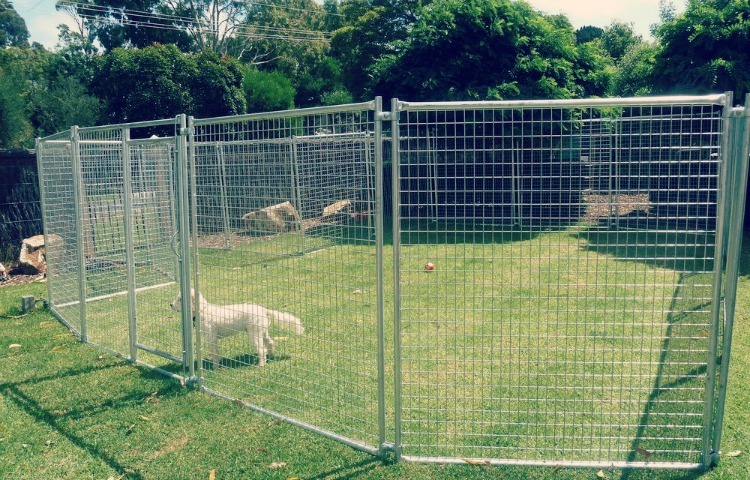 Most commonly, pet owners will use a chain link fence for the walls and doors of the kennel. To make your dog kennel DIY project a little easier, you can even find affordable chain link fencing and doors already made. You’ll want to get a spring loaded clip that will keep the door closed though. If you have a dog that likes to dig, you’ll probably need a “direct burial” treated 2x12 under the fencing. You can also just bury the fencing about 1 foot into the soil. Keep in mind that these aren’t guaranteed to keep your dog from digging, but it’ll greatly reduce the chances of your pup escaping. While most people will just leave the kennel without a floor, it’s still a good idea to have some kind of flooring for part of the kennel so that there is some kind of drainage. You don’t want to use anything hard or solid like concrete, wood, or pavement because this will hurt your dog’s feet. Instead, choose large flagstones or gravel. It’s a good idea that you put some kind of sand as a base under the flooring, topped with landscaping fabric to prevent weed growth. If you have enough space, you can just leave part of the kennel with a nice grassy area for your pup to relax on. If your dog is going to be spending a lot of time in their new kennel, you’ll want to plan for some kind of cover or dog house so they can get out of the sun—it could be a tarp over a portion of the kennel, a dog house, a tree, or even wooden planks covering a portion of the kennel. If you plan on using a dog house, put the house outside of the kennel with a hole so the dog still has ample space to run around. 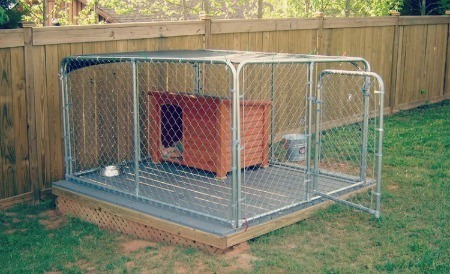 A dog kennel is a great way to let your dog get some exercise, fresh air, and sun. You can put your dog in the kennel while you’re doing some yard work without worrying about your pup getting in your way or getting hurt. If you have the space for a kennel, make sure that it is going to be large enough for your pup to get plenty of exercise, but also has a shady area for them to rest and relax!